I enjoyed my time in this guesthouse. Great price for a bed in a dorm and breakfast included! I wouldn't stay anywhere else if I go back to Melaka. 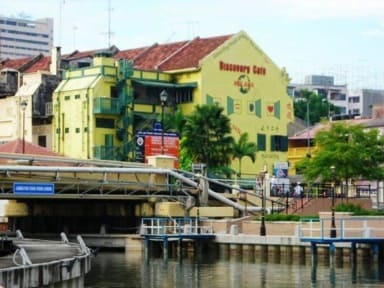 Hostel in the centre of everything you wanna enjoy in Melaka. Our room was clean and confortable but noisy (because of the street). Hostel is ok, basic services but enough for your stay. I would prefer more clean in common areas (bathrooms). 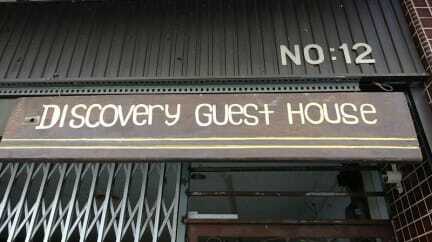 Discovery cafe and guesthouse is a great cafe and an ok guesthouse. The rooms were at the otherside of the street, so you had to cross it, and there was no common area in the building. I just stayed for one night, the room was nice and the staff was really welcoming and helpful. It's good for it's price. The reception and the space for breakfast are across the street, which is a little uncomfortable, the reception girl always smiling, but the place gave me a little distrust at first, but you get what you pay for. Llegamos y no estaba la habitación que nosotros pagamos por lo que el personal nos movió a una mejor. Sin embargo, sin avisarnos, pretendían al otro día cobrarme. Luego de mi insistencia decidieron dejarnos allí sin cargos extras pero no sin antes poner su peor cara. Los baños son de lo peor que he visto. No hay papel y nadie lo limpia.